Approved applicants applying for a scholarship will be required to volunteer 3 hours. Complete & submit this scholarship form along with balance of the fee. NO Refunds. Returned checks assessed a $47 fee. Attend a volunteer orientation via a conference call or webinar in June – exact date to be announced. Attend the entire day(s) of conference and turn in a completed conference evaluation. 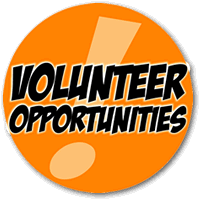 Dress professional when serving your 3 volunteer hours (no tank tops, shorts, jeans or very short skirts/dresses). Sign-in at conference and fulfill your 3 hour volunteer duty as assigned, return hostess papers, and sign–out. Qualifying applications will be dated as received and selected on a first come, first serve basis until all scholarships have been awarded. All providers will be notified when received as to their acceptance status.